Composed by Patrick M. Liebergen. Choral Anthems. Advent, Christmas, Sacred. Octavo. 12 pages. Duration 12 minutes. Hope Publishing Company #C5145. Published by Hope Publishing Company (HP.C5145). 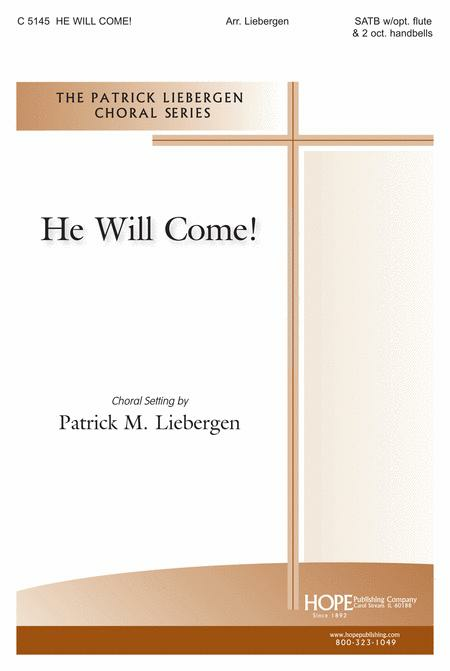 Patrick Liebergen's new compelling Advent anthem creates and air of expectant joy. The setting is for SATB choir with optional flute and eleven handbells. The imitative entry sections are very strong, and the flute and handbells beautifully fill out the accompaniment. The handbell parts are included.